Hello everyone and happy holidays! Smugglivus is in full swing, and today we are thrilled to celebrate with a sale. As you may know, we published our very first commissioned novelettes this year, with Carlie St. George’s Spindle City Mysteries. Affectionately dubbed “Cinderella Noir”, the stories follow gumshoe and (good hearted, but maker of bad life choices) Jimmy Prince as he tackles the shady power players of Spindle City’s underbelly. We published three stories in this series online and as standalone ebooks–including 2 bonus short stories told from Jimmy’s secretary, Jack’s perspective. Today, in the spirit of Christmas, we’re putting these babies on sale! 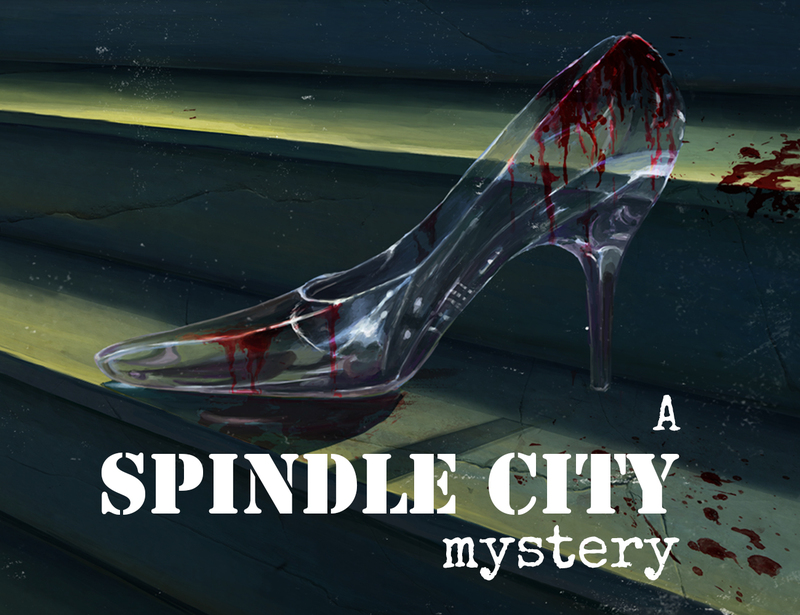 Each Spindle City Mystery is just $0.99, for a limited time. Not familiar with Spindle City? Here’s the rundown. And with that we say, happy holidays to all, and to all a good night! Is it possible to buy these as a gift? I’ve got my copies and love them but am thinking a friend of mine would *love* them and she could use a little spoiling at the moment. Hi @Ju Transcendancing–you defiitely can buy them as a gift for a friend! If you purchase directly through PayHip, you can forward the confirmation emails/download links you receive to your friend. Or, if your friend has a preferred e-reader, you can gift through Kindle, Nook, Google Play, or Kobo through their regular gifting options! You’ll just need the email address that your friend uses on the particular platform.